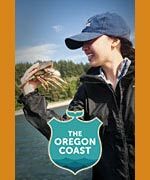 (Newport, Oregon) – Mix mud, pirates and a crazy running course full of obstacles and you have the most unique sporting event on the Oregon coast. This is Newport's Buccaneer Rampage Mud Obstacle Race on August 22, held at the Newport Municipal Airport. Expected to draw well over 150 athletes – many dressed as pirates – runners will rampage through mounds of mud and surprise obstacles. The emphasis is on fun and laughs, said Mike Cavanaugh, Sports Coordinator for Newport Parks and Recreation. The course features a number of obstacles that will be spread over muddy terrain. The race will have obstacles such as wall climbs, mud crawls, cargo nets and running in-between. Cavanaugh said there will be at least 18, and more are likely to be added. This year’s Buccaneer Rampage begins at 11:00 a.m. and runs until 3 p.m. Event pre-registration is $40 online at www.buccaneerrampage.com until August 20th. Day of registration is $45 and will close fifteen minutes prior to the race. Added this year is a kid's race, held after the adults have finished. Kids' registration is $15. This is for kids under 15 years old. There will be music, food and a beer garden throughout the day. Prizes will be given to the best male and female pirate costume. All proceeds from the event will go towards the youth scholarship program at the Newport Recreation Center. These funds allow children from economically, disadvantaged households the opportunity to participate in a number of fantastic recreation programs. 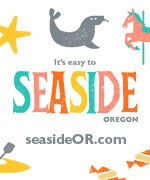 More info at: email M.Cavanaugh@NewportOregon.gov or call 541-574-5453. 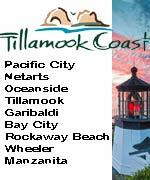 More about the event and Newport below; more about Newport at the Newport, Oregon Virtual Tour, Map.